The Nightmare in Rotterdam 2.0, official party Hooded Sweater. With a full color Freddy on the front and the line up artists on the back. 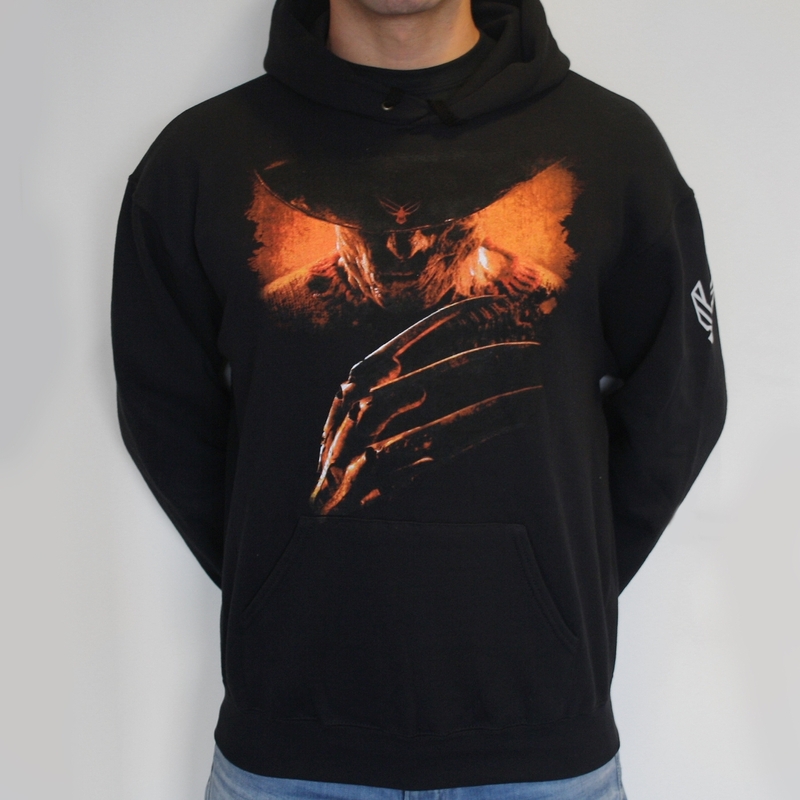 Also an extra print on the sleeve with the Nightmare 2.0 logo.